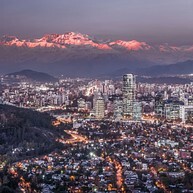 In the heart of Chile, right in between Argentina and the South Pacific Ocean, lies the country's capital Santiago. Over a quarter of Chile's population call 'The City of the Island Hills' their home. Located in a valley consisting of broad and fertile lands, surrounded by vineyards and mountains, Santiago offers a cosmopolitan and energetic city life that is inseparably attached to its beautiful natural setting. Immerse yourself in the city's cultural and musical energy that is reflected in colorful neighborhoods and a reinvigorated art scene. 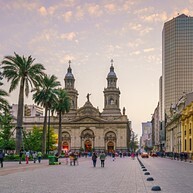 As a travel destination, Santiago is often overlooked and misjudged as a layover on the journey to another city in Chile, another country in South America or another international destination. However, its perfect location between the Andes and the ocean will give you endless opportunities to explore the surrounding nature, while Santiago itself will enchant you with a unique mix of ancient tradition and modern influences. These are some of the things you should not miss when visiting Santiago. 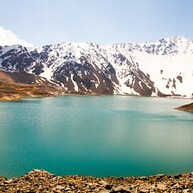 Cajon del Maipo is a beautiful gorge about 25km outside of the city that offers outdoor adventures to residents and visitors of Santiago. Here you will also find El Morado Natural Monument, a mountain reserve with hiking trails, glaciers, a rich birdlife and thermal springs, Baños Morales, nearby. The view from Cerro San Cristóbal is stunning and gives you the most scenic panorama of Santiago imaginable. There are several ways to reach the top of Cerro San Cristóbal to take in this unparalleled view. You can take the funicular that leaves from Bellavista or, if you are a hiking enthusiast, you can hike up Cerro San Cristóbal in about 45 minutes. Either way, try to catch the sunset or sunrise while you are up there and watch the city change from day to night. 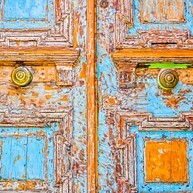 The bohemian quarter of Santiago, Barrio Bellavista, between the Mapocho River and San Cristóbal Hill, is bursting with secret oddities, colourful graffiti and hidden stalls and boutiques. During the day, you can enjoy the sun, take a stroll and buy all sorts of handcrafted and unique works of art. The weekly art market typically features jewellery made from Lapis Lazuli, a stone that, thanks to its deep blue colour, seems to fit the vibrant surroundings perfectly. At night, Bellavista transforms into a dazzling nightlife hub with a great selection of unique bars and restaurants. 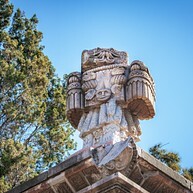 While it might seem a bit macabre to include a cemetery into your travel schedule, the history of this one is magnificent and the cemetery itself well worth the visit. It is the largest in Latin America and dates back to 1821. If you want to learn more about this resting place, named one the World's Most Scenic Cemetries by the CNN, you should join one of the two hour night tours that will take you through the entire cemetery. You have to be at least 18 years old to join. The Museo de la Memoria y los Derechos Humanos (Museum of Memory and Human Rights) illustrates General Augusto Pinochet's 17-year dictatorship over Chile that resulted in the murder of thousands of Chileans. The museum contributes to the reworking of the period between 1973 and 1990 and at the same time, honors the many victims of the Pinochet rule. It stands as a landmark for the creation of cultural awareness and educates about the terrors of dictatorship. The permanent exhibition of this museum features works of art from the colonial era to the present day. 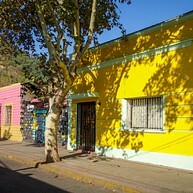 You can see art work by famous Chilean artists such as Roberto Matta and Luis Vargas Rosas. Although the permanent exhibition is rather small, it is aesthetically pleasing and informative. Rotating feature exhibitions will give you further insights into Chilean art and history. Museo Chileno de Arte Precolombino is located in the city center of Santiago and features exhibits of pre-Columbian artwork and artifacts from Central and South America. This is the perfect opportunity to learn more about the cultures of South America, with a collection covering about 10,000 years. The Teatro Municipal de Santiago opened its doors for the first time in September 1857 and has since been considered the most important stage theater and opera house in Chile. 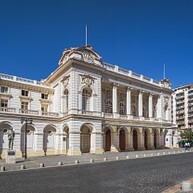 The building constructed in the style of neoclassical architecture was inaugurated with the Verdi opera 'Ernani' and has since suffered several strokes of fate, including multiple fires and an earthquake but was reconstructed every time. In 1974, the Teatro Municipal de Santiago was declared a National Monument. El Biógrafo is an art cinema in the heart of Santiago that will give you access to the city's art scene in a relaxed and cozy atmosphere. 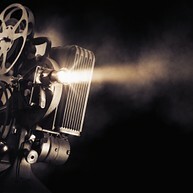 The selection of films in this old school cinema is definitely anything but mainstream and will surprise you with some unique picks. La Chascona House was one of the residences of Chilean poet Pablo Neruda. Tours will guide you through the collection of colored glass, shells, furniture and artwork. The unique style of the building reflects Neruda's personal aesthetic and love of the sea. Parque Forestal is a narrow, spacious park that is peppered with art and museums in the immediate vicinity. The Mapocho River flows at its borders and Mercado Central, La Vega, and the Bellas Artes museum are located within walking distance. 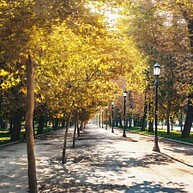 Parque Forestal is ideal for daytime joggers, a walk and for a picnic outdoors. Santiago's Parque O'Higgins is Chile's second-largest public park and the venue for several festivals and concerts throughout the year, featuring world renowned artists. In late March, the annual Lollapalooza Festival takes place here, attracting tourists as well as locals. The park is also a popular leisure destination for families, sports enthusiasts and those who want to leave the hustle and bustle of the city behind for a moment. Located in the heart of Santiago is Plaza de Armas, the centerpiece of the city. Initially, Santiago was designed around this central square in a grid pattern. A fountain in the middle of the square celebrates libertador (liberator) Simón Bolívar who emancipated Latin America from Spanish control. The historic center of Santiago around Plaza de Armas is home to a variety of museums and impressive works of architecture that line several pedestrian precincts. The Casablanca wine valley is one of the area's newest wine regions, located about an hour outside of Santiago. 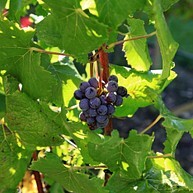 Because of the ocean breezes from the Pacific, Casablanca became the first cool-climate wine producing region of Chile. Since the 1990s, the wines of this region have been distinguished by wine connoisseurs on merit of their aroma and flavor. Various wine tasting tours will acquaint you with the wines of the Casablanca region and, in addition to wine tasting, will give you insight into the production process. 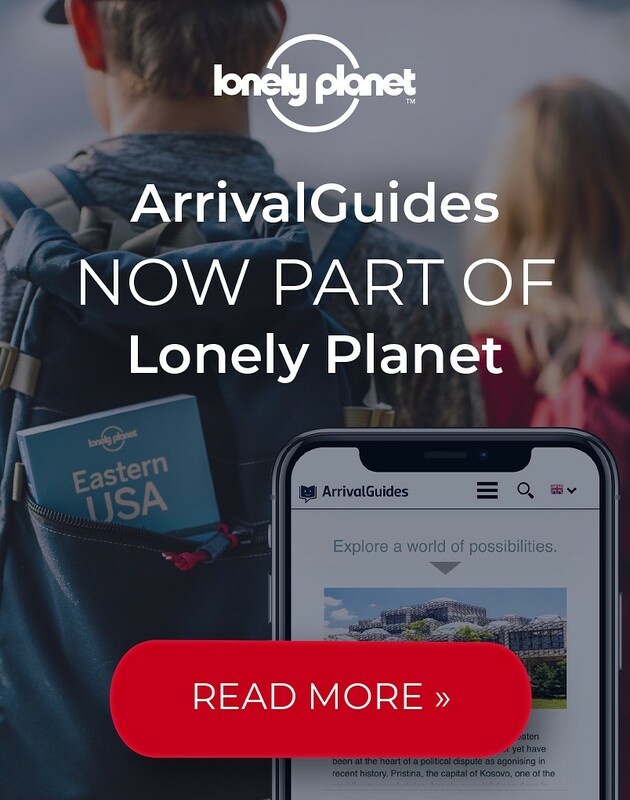 Depending on the organizer, tours cover anywhere between several hours and the entire day and include a wine tasting, lunch or dinner and transportation.